Captain Envirotron is a superhero. He teaches his friends the importance of recycling waste, to save the earth's resources for the children of tomorrow. Tara Sheehan writes sweet, fun, educational stories for children. Her characters are clever and inquisitive. Tara lives in Oxfordshire with a medium-sized dog. Before she started writing children’s stories, she worked on sustainable investment in the construction industry. 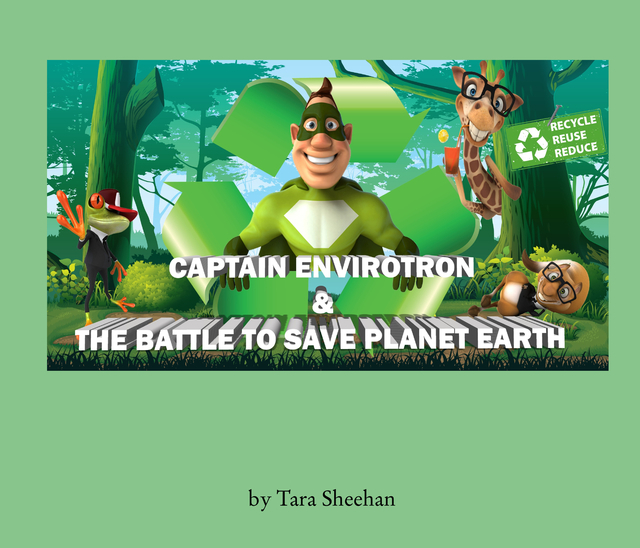 Captain Envirotron & The Battle to Save Planet Earth is her debut children’s book.